THIS SUMMER, JACCC PRESENTS FOUR, INTIMATE OUTDOOR CONCERTS INSIDE DOWNTOWN’S JAMES IRVINE JAPANESE GARDEN IN LITTLE TOKYO. 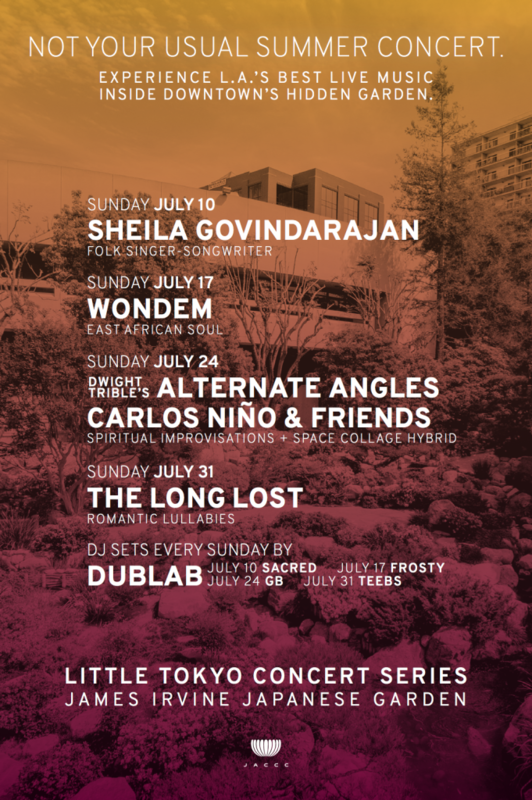 Returning for its second season, the Little Tokyo Concert Series honors the intimate, outdoor and natural setting as an ideal environment to experience good music up close. With a diverse lineup of LA’s hottest acts, each night will be a unique and exciting way to wrap your weekends. After selling out each concert last year, we are thrilled to bring this series back to Los Angeles with a fresh line-up, here in the heart of Little Tokyo. © 2016 Rani de Leon. All images are copyrighted by their respective authors.